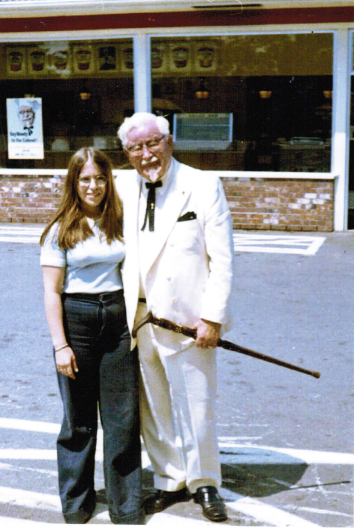 Take a look at this vintage photograph of KFC founder Colonel Sanders -- probably one of the most recognizable faces in the world -- and an unidentified local woman, likely taken in Richmond in the 1970s. Dan Propp found this interesting piece of history from the flea market and is proud to share it with us. Click HERE to see more of Dan's photos, writing, and music! 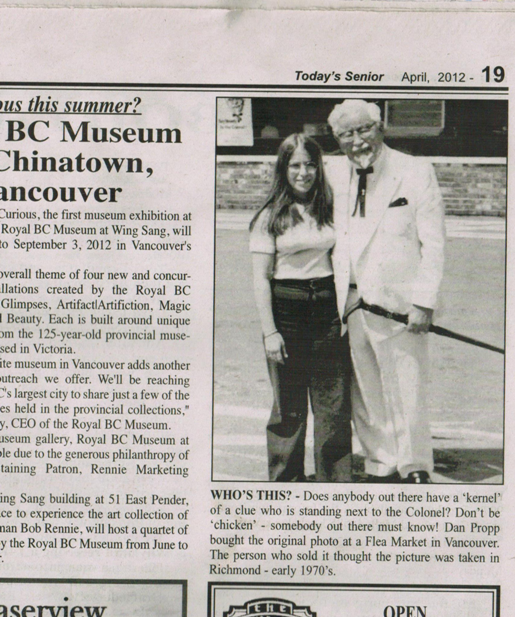 Do you have any stories, photographs, or other treasures of the past, whether it's restaurant-related or purely Canadian, to share with BC? Let us know!